It is a professional equipment manufacturer with the industrial tape high quality, Electrical appliances industry and lamp decoration industry thermal insulation material, which has that capability of independent inspection and product detection and design production, processing, sale and distribution. 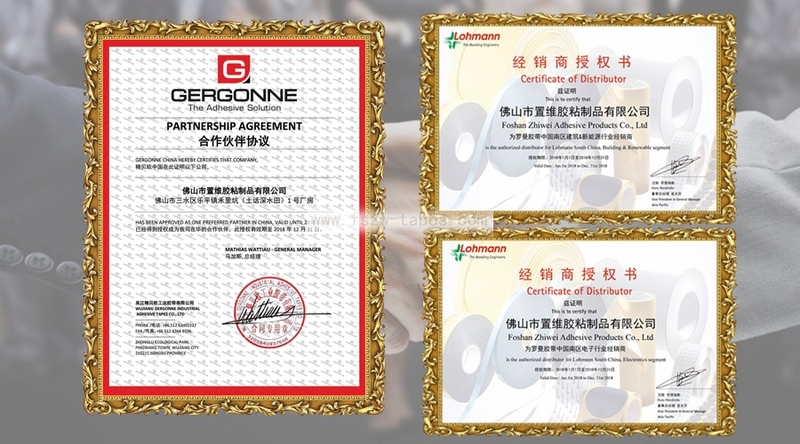 We became the dealer of Germany Lohmann adhesive tape of south China area in 2006, and we became the dealer of France Gergonne in 2013 . It is widely use in electronic, electric appliance, building, print, automobile, etc. The production processed glass fiber, glass fiber felt, chemical fiber fiber, ceramic fiber paper and other new glass fiber materials provide better insulation, thermal insulation, fire-proof, soundproofing and other solutions for customers in the home appliance industry.